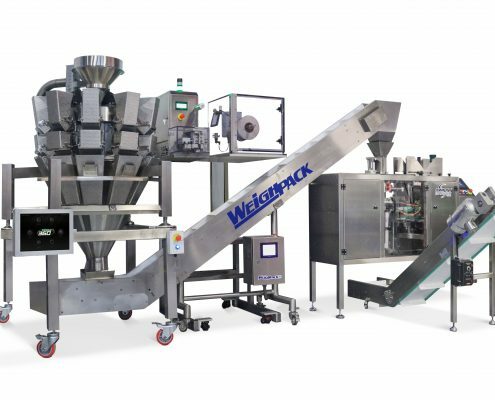 The Swifty Bagger premade pouch filling machines are designed to automatically open, fill and seal pouches and stand-up bags. 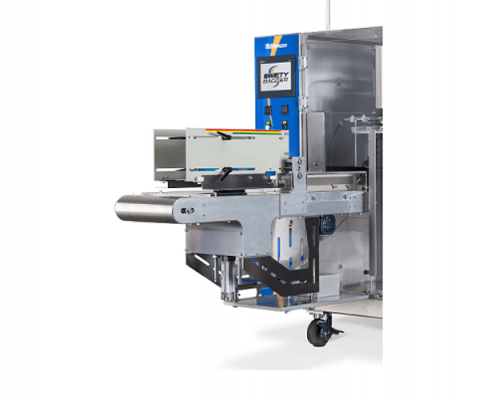 Engineered with a straight line design, the Swifty Bagger pouch packaging machine is easy to service, accessible for effective cleaning and reliable. 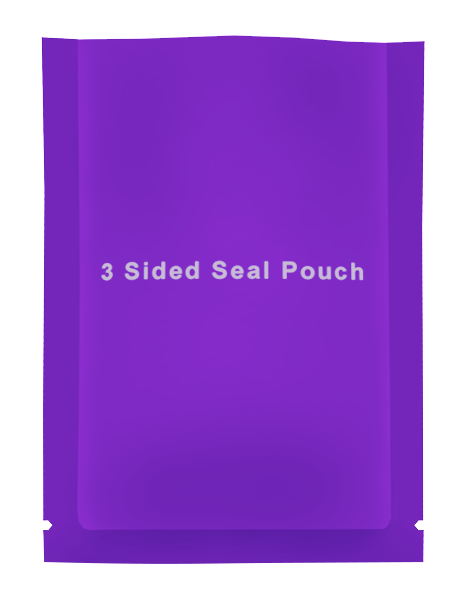 All Swifty pouch filling machines can operate on a variety of bag styles, including 3 or 4 sided seal pillow pouches, stand up pouches, gusseted and quad seal bags. Swifty™ Mini premade stand up pouch filling machine for smaller bag requirements up to 18 premade bags per minute. 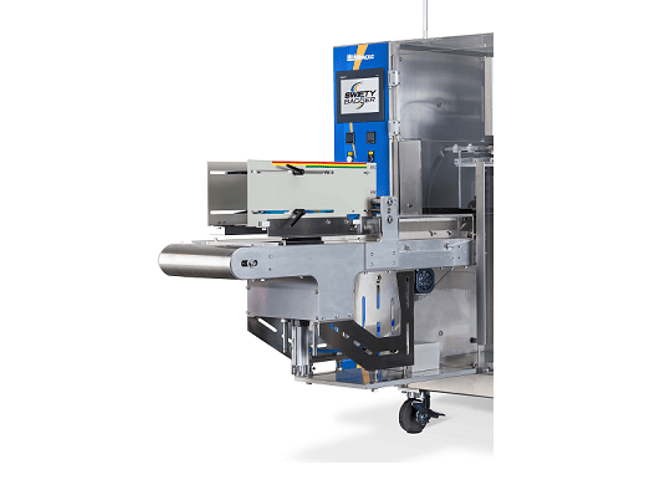 Swifty™ 3600 premade stand up pouch filling machine for speeds of up to 45 pre-made bags per minute. Swifty™ 1200 premade stand up pouch filling machine for larger bag size requirements up to 30 premade bags per minute. 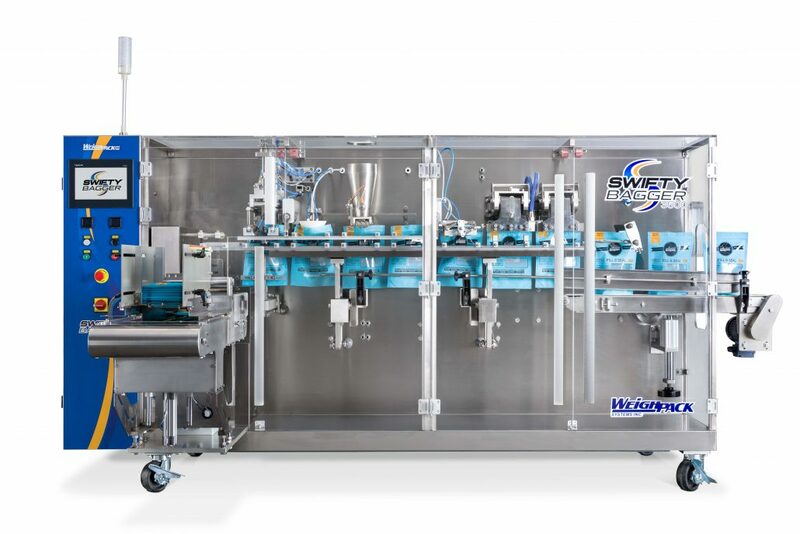 Swifty™ Junior premade stand up pouch filling machine for entry level production rates up to 15 premade bags per minute. 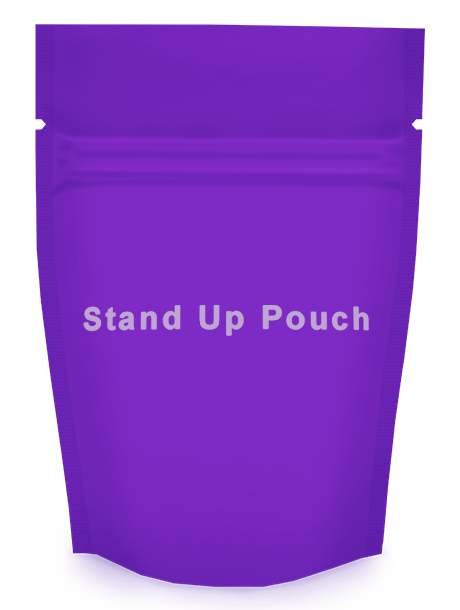 Stand up pouches make ideal containers for a variety of solid, liquid and powdered foods as well as non-food items. 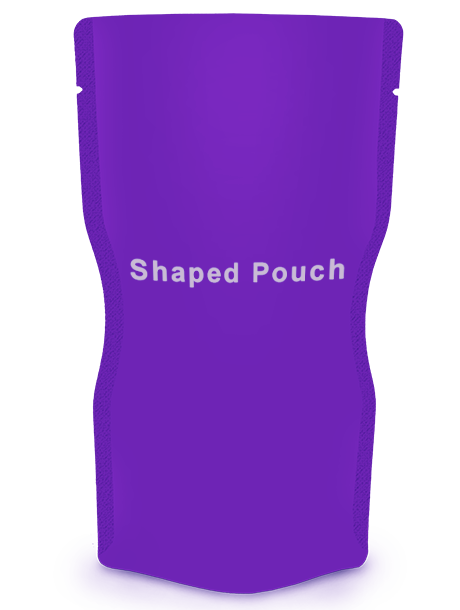 Premade pouches are convenient as unlike form & seal technology, equipment change over time is not required when using pouches with the same size requirements but different graphics. 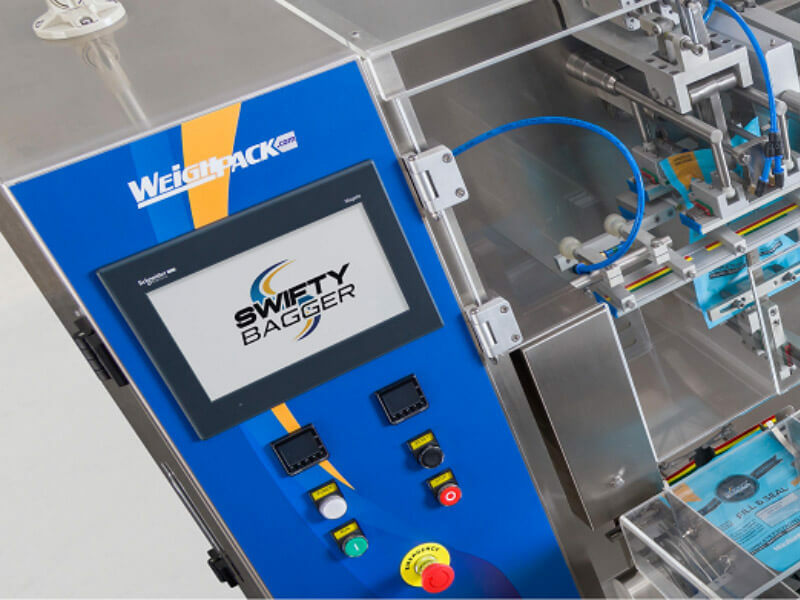 Swifty Bagger™ Mini stand-up pouch filling machine is perfect for compact bag sizes. The Mini automatically opens, fills and seals a variety of premade stand-up pouches. With our smallest footprint to-date, the Swifty Bagger® Mini only occupies 10 square feet of floor space and easily rolls to fit within your existing production environment. Standard in stainless steel construction the Swifty Bagger® Mini is engineered with three key benefits in mind: ease of use, ease of servicing, and ease of maintenance. 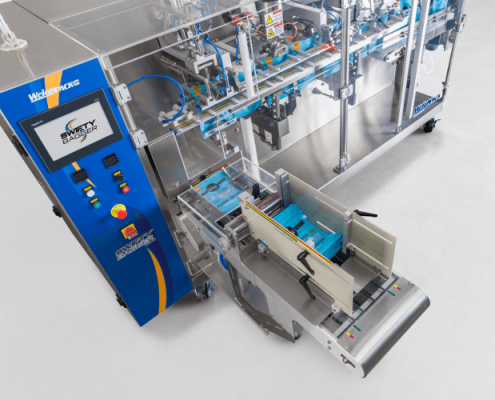 Convenient feeding with easy to adjust bag magazine ensures that pre-made pouches enter the machine perfectly square, resulting in consistent output and seals. 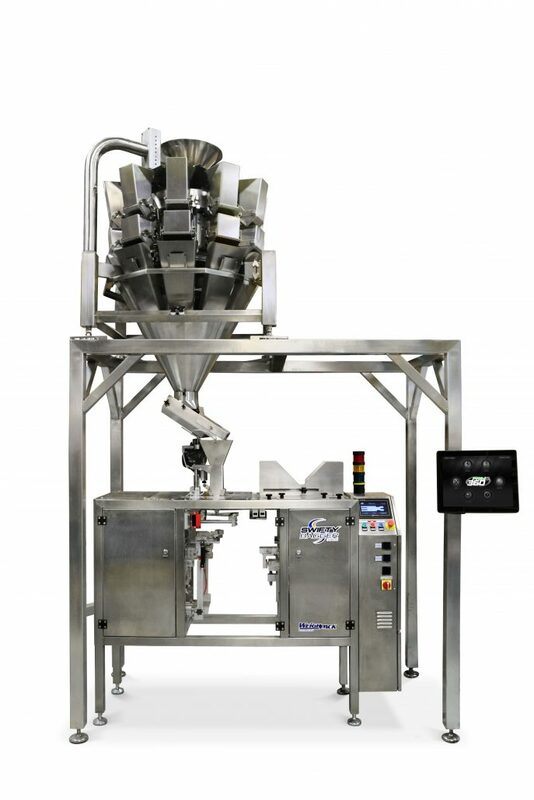 The Swifty Bagger® Mini integrates with any auxiliary filling machines including our PrimoCombi® multihead weigher, PrimoLinear™ net weigher, and Star Auger® for powders. 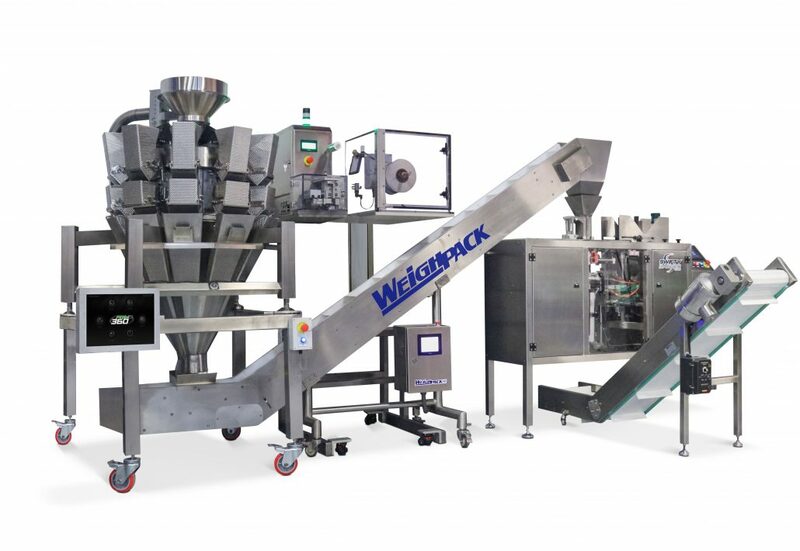 Swifty Bagger™ 3600 and 1200 automatic pouch filling machine are engineered for medium to high production rates. 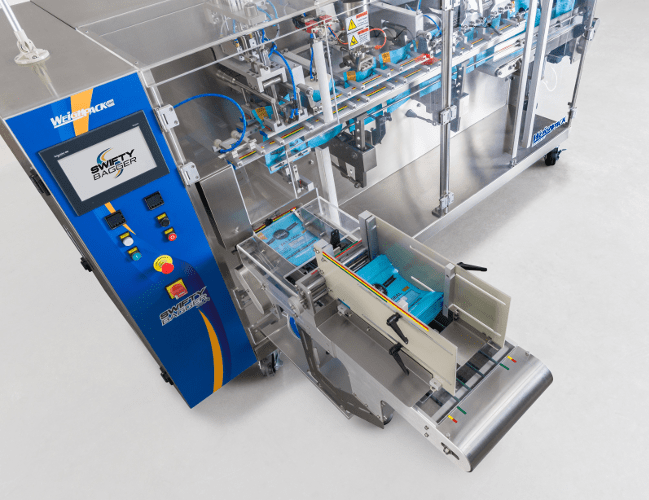 Both cam driven automatic bagging machines are robust in design and built to last the vigor’s of today’s packaging machinery production needs. Our unique straight line designed pouch machine ensures the operator can see the entire bag opening, filling and sealing processes without the assistance of others, making the Swifty easier to operate, service and clean. 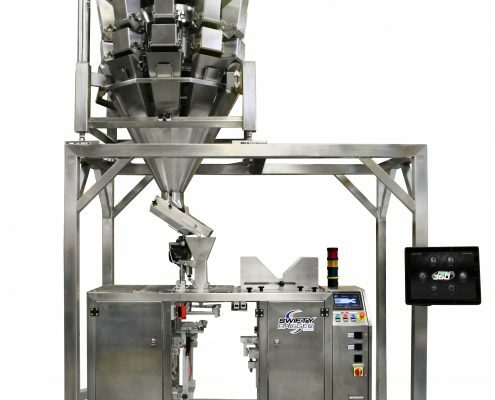 The Swifty Bagger stand up pouch filling machine includes a very accessible bag magazine for convenient pouch loading to ensure every bag enters the machine square, automatic zipper opening device, bag shaker at the fill station for product leveling and integrated exit conveyor. 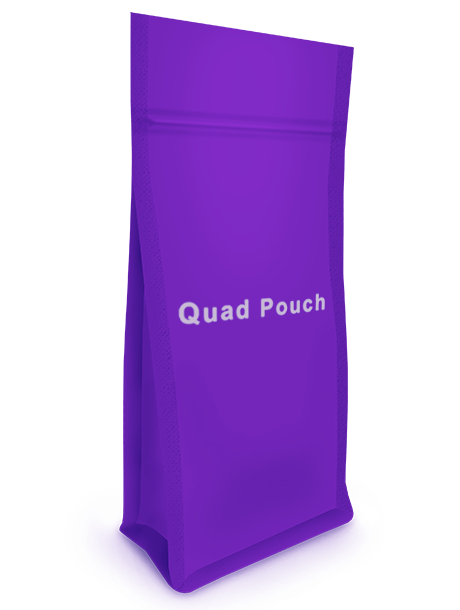 Fill the following pouches with the Swifty Bagger stand up pouch machine: Stand up pouch (SUP, SURP, DOY), pillow, gusseted, quad and carry handle. 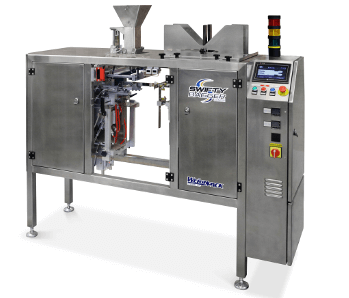 Swifty Bagger™ Junior stand-up pouch filling machine is perfect for small to medium production rates. 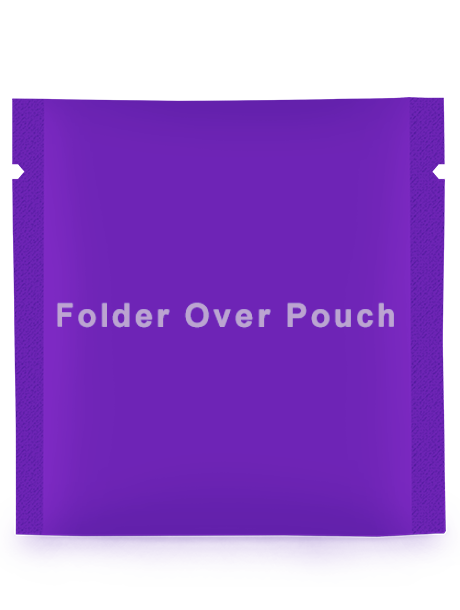 The Junior automatically opens, fills and seals premade stand-up pouches (SUP, SURP, DOY) in one process, making it easy to use and extremely compact. 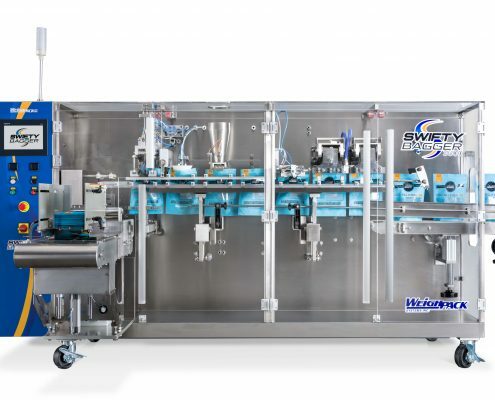 Standard in stainless steel construction the Swifty Bagger pouch filling machine offers exceptional long term value and fits seamlessly in any packaging environment and can be integrate with any auxiliary filling machine for solids, powders or liquids. Commonly used for filling snack food, confections, pet food, medicinals, coffee, beef jerky, powders and much more.